. 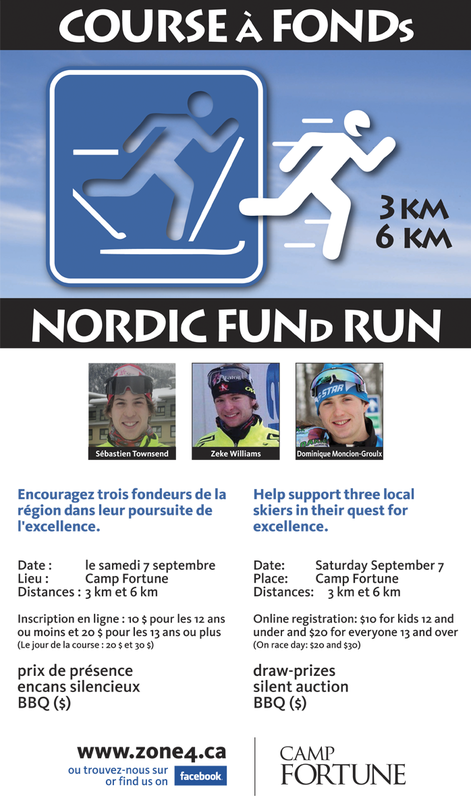 : NORDIC FUNd RUN/Course@fonds :: Ski XCOttawa.ca :: Skiing in Ottawa and Gatineau Park :. The NORDIC FUNd RUN is a fundraiser running race to help support our local athletes by givivg them the oppotunty to move away from home to pursue their passion and one day become Olympians. The Funds will help the althletes in there training at the National developement centers in Canmore, Thunder Bay, Whistler and Quebec City. We hope to make this an annual event, supporting as many skiers as possible in the years to come! There will be a 6km race and a 3km with recongnition for the first 3 finishers in each category. Draw prizes and a silent auction will follow the race. The training center athletes will give a talk about their experiences as competitive skiers and will be running a warm up session prior to the race. The event is organized by Local Clubs and all proceeds will go to developing athletes.